← Book Signing, Brunch, and Jazz: You’re invited ! As a writer who hopes to one day get her novel published, I find myself fantasizing about my first book signing. I’ll be stationed at a table at one of the popular independent bookstores in town with a long line of avid readers clutching copies of my book as if they are precious cargo, awaiting my signature and some witty note I’ll include. As my hand starts to cramp from signing my name 40, 50, 60 times, my publicist will pull me aside to tell me it’s time to head to my next event 45 miles down the road where more of my readers are waiting. In this fantasy, I’m at the beginning of my author tour, which will last a year and include not only cities along the Eastern Seaboard but major cities across the country. But I don’t have to live in the fantasy to enjoy some measure of reality, in order to conduct a book signing or get the practice of doing a public reading. And neither do you. All you need is to have one story published in one publication online or in print to become a celebrated writer. Recently The Hair Kingdom, the salon in the Roxbury section of Boston where I’m a client, hosted a Saturday afternoon brunch featuring several female entrepreneurs, an up-and-coming professional singer, and me. 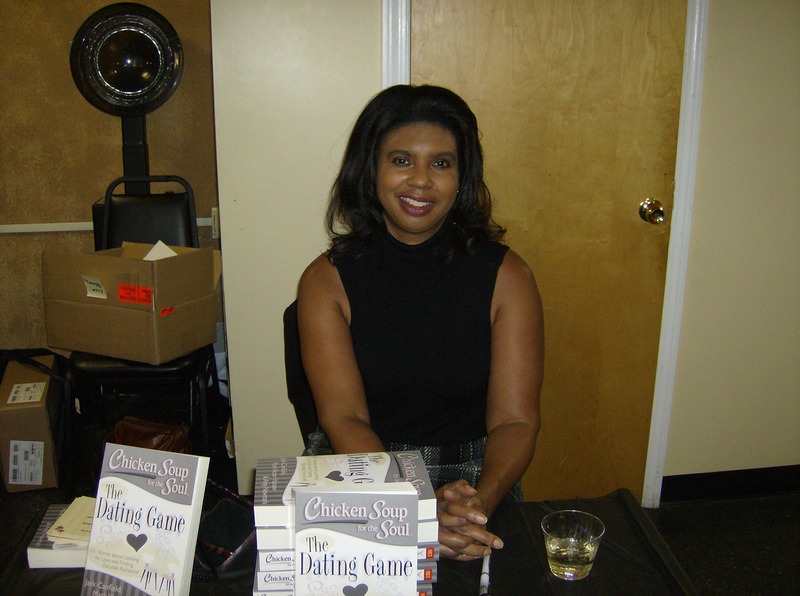 While we dined on wine, cheese, and some hearty chicken soup served right out of a slow cooker, to tie in with the title of the anthology I’m published in—Chicken Soup for the Soul: The Dating Game, I read an excerpt from my essay, “Short Distance Romance.” Then I did a signing. Despite the fact that I have one story in an anthology and not an entire book, the guests at the brunch were excited to meet me and thrilled to spend the afternoon with an author. I made a point to tuck a post card with my blog address into every book I signed. The event was a great way to build an audience and encourage me to keep writing. 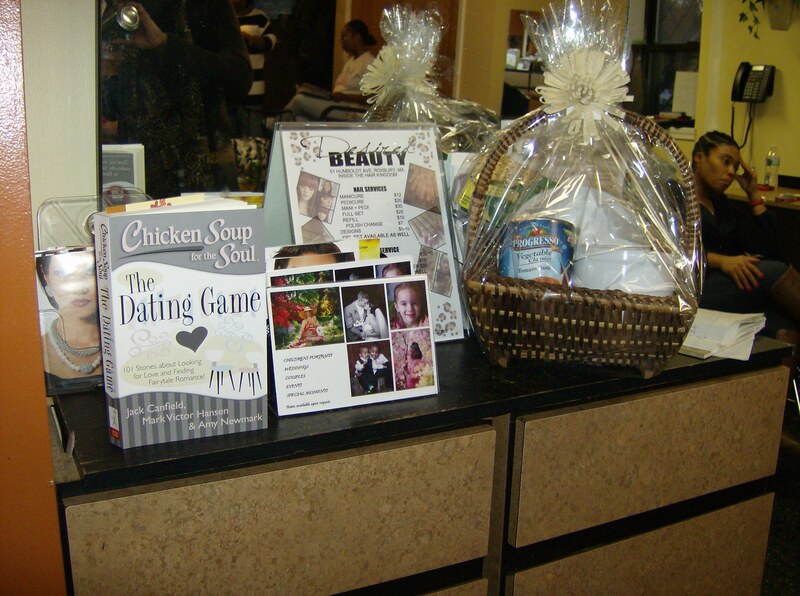 This entry was posted in Book signing, Manuscript, Public Speaking, Publishing, Writing and tagged Boston, Roxbury, The Hair Kingdom. Bookmark the permalink.